MIAMI (CBSMiami) — Teenager Stephen Kelly would like nothing more than to whip his mentor Elvis Caines in basketball. “He played against me, telling me that he was going to beat me and that’s where we actually broke the ice,” Caines recalled. Their basketball rivalry is just the backdrop for a budding relationship and a bigger purpose. Caines is now Kelly’s big brother. They met when Kelly was 9-years-old and headed for trouble. “At that time in my life, I was just a troublemaker that had no ambition to do anything better,” said Kelly. Caines connected with Kelly by calling on some of his experience mentoring other kids and by learning more about juvenile justice. Now with Caines’s guidance, Kelly is a young man on a mission. His grades improved and Kelly took home a number of awards at his 8th grade graduation. When it comes to his future, he’s got a plan. “I want to work for the FBI or the CIA because I have a passion for protecting people,” Kelly said. His dream might have gotten a boost from the Carnival Foundation, which has already awarded him a scholarship. And Kelly’s still working his goal of winning this battle on the basketball court, but off of it, he believes that a big brother like Caines is hard to beat. 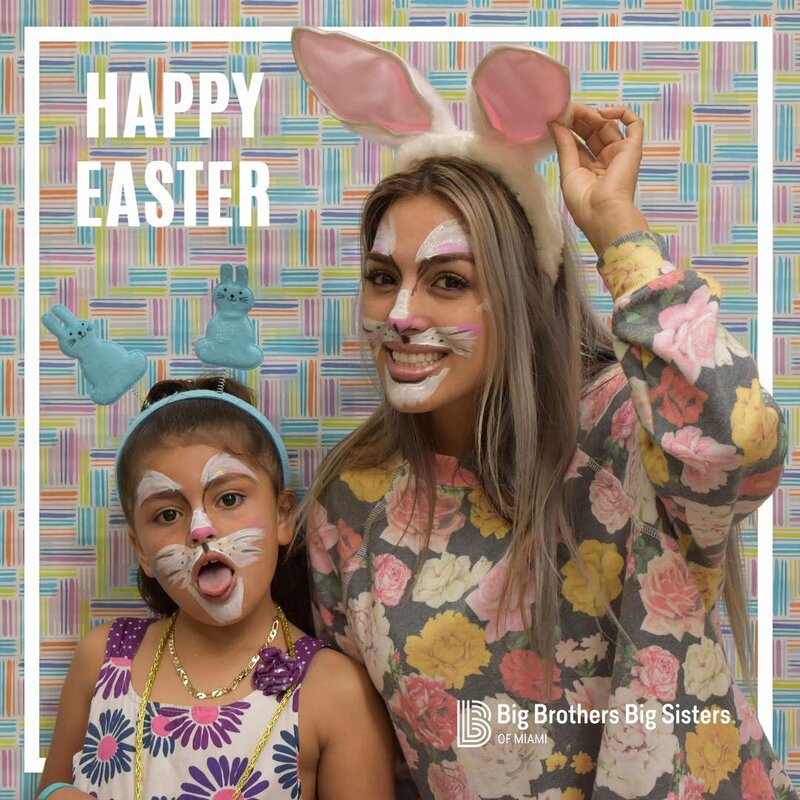 #HappyEaster from Big Brothers Big Sisters of Miami and some of our matches who attended our Easter Egg Hunt, sponsored by Junior League of Miami!